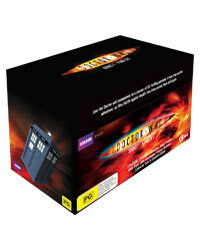 It does not include The Next Doctor and the 2009 specials — those are included in the Complete Specials box set instead. Join the Doctor and companions on a journey of 55 thrilling episodes of non stop action adventure, as they battle against deadly foes from across time and space. Note: Numbered limited edition of 2,500 copies. 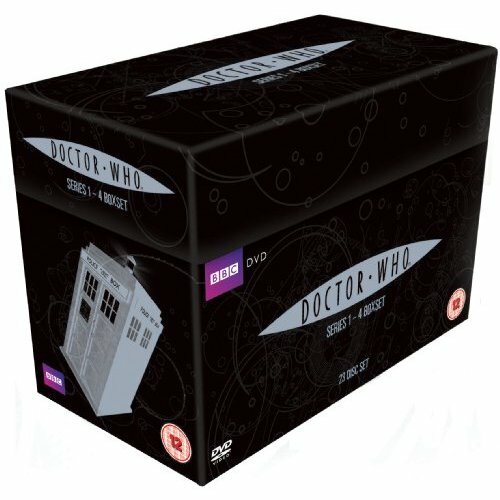 Amazing boxed collection offering all episodes from series 1-4, Christmas Specials and a host of DVD Extras such as behind the scenes, outtakes, deleted scenes, cast interviews, audio commentaries and much more! This box set also includes a comprehensive 64 page collector's booklet. Packed with non-stop action adventure, watch as the Doctor and companions battle against deadly foes from across time and space. 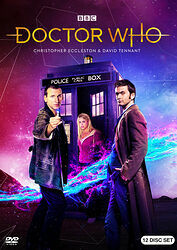 Note: Similar to the above releases but also including the 2008-09 specials, namely The Next Doctor, Planet of the Dead, The Waters of Mars and The End of Time.